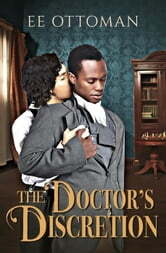 Their desperate plan sets William and Augustus against the hospital authorities and the law. Soon they find themselves embroiled in New York's seedy underworld, mixed up with prostitutes, spies, and more than a lifetime's worth of secrets. When nothing is as it seems can they find something real in each other? I really enjoyed this book, I love reading about historical medical practices. This was also a really positive, heartwarming book, as well as extremely readable, romantic, and fun. I would definitely recommend it. Great interracial historical romance that was a touching love story and more. Recommended.